← “No law or logic says managers and shareholders won’t err in their pursuit of shareholder wealth – in fact, they certainly will: Knowledge is imperfect, the environment is competitive, the future is unpredictable.”, Holman W. Jenkins, Jr. The often forgotten 1920-21 economic crisis suggests that sometimes the best stimulus is none at all. To combat the Great Recession and its long-lingering aftermath, leading central banks have pulled some $10 trillion out of thin air. Governments of the world’s principal economies have rung up almost $20 trillion in deficit spending. We often hear that the authorities have done too little. Perhaps they have done too much. Not so long ago, the authorities did hardly anything. In response to the severe, little-known economic slump of the early 1920s, they virtually sat on their hands. It is an often forgotten episode that suggests the potential for constructive federal inaction—and underscores the healing power of Adam Smith ’s invisible hand. Beginning in January 1920, something much worse than a recession blighted the world. The U.S. suffered the steepest plunge in wholesale prices in its history (not even eclipsed by the Great Depression), as well as a 31.6% drop in industrial production and a 46.6% fall in the Dow Jones Industrial Average. Unemployment spiked, and corporate profits plunged. What to do? 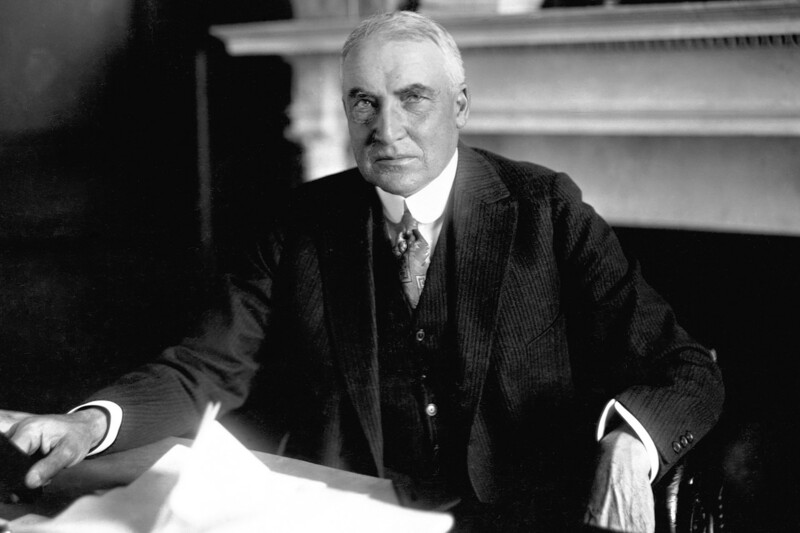 “Nothing” was the substantive response of the successive administrations of Woodrow Wilson and Warren G. Harding. Well, not quite nothing. Rather, they did what few 21st-century policy makers would have dared: They balanced the federal budget and—via the still wet-behind-the-ears Federal Reserve—raised interest rates rather than lowering them. Curiously, the depression ran its course. Eighteen months elapsed from business-cycle peak to business-cycle trough—following which the 1920s roared. The adage that “the past is a foreign country” is especially apt in economics. In 1920, “macroeconomics” had yet to be invented. People spoke of prosperity and depression but not of a national economy. Still less did they identify an organic whole for the government to manage. Intervention came later; by 1929, central bankers had begun to dabble in the technique of price-level “stabilization.” After the crash, President Herbert Hoover famously pressed employers not to cut wages. Laissez faire had its last hurrah in 1921. In the 1920 Republican Party platform, the only comment on “national economy” had to do with the stewardship of the federal finances. Borrowing and interest-rate suppression during World War I had fostered a postwar boom. Imbibing the inflationary ether, Harry Truman, then in his mid-30s, opened a new haberdashery in Kansas City. General Motors built the world’s largest headquarters building in Detroit. National City Bank , forerunner to today’s Citibank , overexpanded in Cuba. The sky took its time in falling. A belated monetary tightening compounded the hardship of plunging prices—a combination that battered bankers, laborers, farmers, corporate titans and small businesspeople alike. By the close of 1920, Billy Durant, the flamboyant chief of GM, was broke and jobless. A year and a half later, the future 33rd president of the U.S. and his haberdashery partner were out of business, and the mighty City Bank was nursing its self-inflicted wounds in Cuba. All this made 1921 a grim time. There had been a flu pandemic and a Red Scare. Labor and management were at each other’s throats. Prohibition had closed the bars and taverns (or driven them underground). Someone had fixed the 1919 World Series. And the Federal Reserve, determined to protect the purchasing power of the gold dollar, actually raised interest rates in the face of collapsing business activity—to as much as 8% in 1920. Without a federal safety net, people got by on savings, wits or charity—or they didn’t get by. In 2008, as Lehman Brothers toppled, the Great Depression monopolized the market on historical analogies. To avoid a recurrence of the 1930s, officials declared, the U.S. had to knock down interest rates, manipulate stock prices to go higher, repave the highways and trade in the clunkers. The forgotten depression teaches a very different lesson. Sometimes the best stimulus is none at all. Posted on January 6, 2015, in Postings. Bookmark the permalink. Leave a comment.